You’ve heard the saying before, “What Gets Measured Gets Done”. What tools are you using to keep you, your leadership team and your co-workers abreast of the short, medium and long term goals of the company? Huddles are nice with updates, but those are designed for an individual basis or for a team. I love walking into a company that has Dashboards and/or Scorecards prominently displayed in the common areas of the company. It gives me a definite sense that the management team and their co-workers are aligned toward the goals of the company and they are on track. and in some instances, can display some historical information. in correlation with the long term goals. 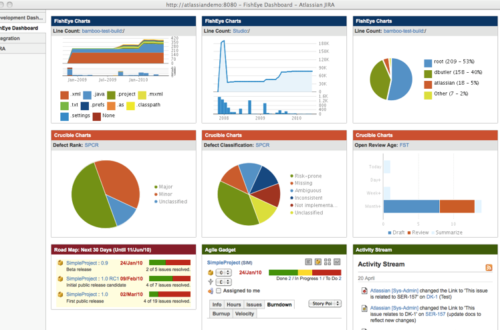 Dashboards tell you where you are at the moment, and in some instances, can display some historical information. 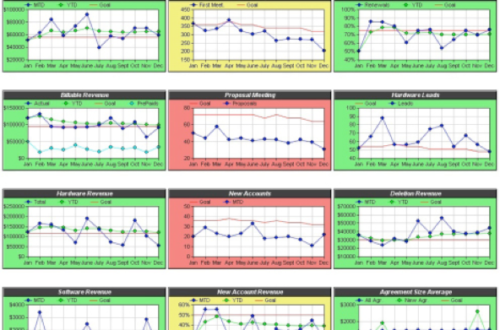 Scorecards are more strategic, they compare where the company was and is, in correlation with the long term goals. Another tool that I like as a scorecard is a software called Align Today. This is based on the Gazelles’ Scaling Up methodology. 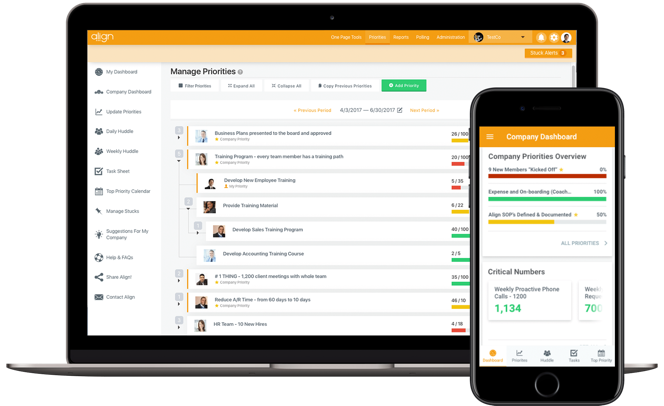 Align Today can be used as a scorecard, scoreboard and dashboard for individuals, teams, departments, and for the entire company. What I like about Align Today is that it ties everyone in the company into a graphical interface that easily shows management where they need to focus. A combination of dashboard and scorecard or scoreboard may be the tool you and your company need to be successful. With the lower cost of wireless LED monitors and TVs, it is easy to set up a dashboard, and with many information systems and integrations they can be set up for real-time or periodic updates.